NetApp takes viral YouTube marketing to another level. The intersection between geek culture and hip hop has a long, vibrant history and has brought us many cherished pop culture moments. Back in the 1984, there was Reveng of the Nerds. Who can forget the triumphant scene when the boys of Lambda Lambda Lambda clinched a victory at the Adams College homecoming carnival competition by wowing the crowd with a nerd rap with front man Lamar Latrell? Then in 1999, we had Office Space. 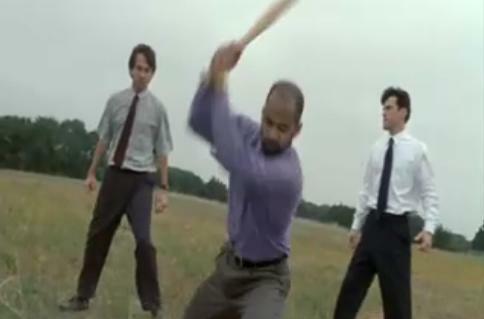 In a brilliant scene that seemed inspired by a John Singleton movie, Peter Gibbons and his co-conspirators gather in an open field with an HP Laserjet printer and let out all their TPS report fury, stomping, smashing and punching the printer into oblivion, all while the rap song “Still” by the Geto Boys eggs them on. Also we have the scene earlier in the film where Michael Bolton is stuck in traffic, singing along with another Geto Boys song. 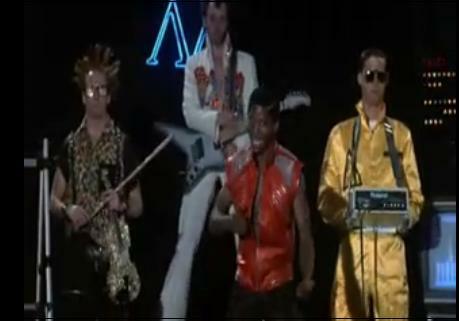 Then two years ago we had Weird Al Yankovic’s masterful parody “White & Nerdy,” featuring a cameo from Donny Osmond. The scene in the back alley where he buys a VHS bootleg of the Star Wars Holiday Special is priceless. As much as I love Weird Al’s hip hop homage to geek culture, NetApp has taken things to a whole new level. I gotta give a hat tip to Beth Pariseau over at our sister blog Storage Soup for this one. In this YouTube clip from NetApp that spoofs the climactic rap battle scene in the film 8 Mile with Eminem, two rappers, named for storage rivals NetApp and EMC, clash with each other for hip hop storage supremacy, tossing out classic lines like “It’s obvious you’ve got stage fright/Couldn’t save a text file with a gigabyte.” It’s not as funny as some classic moments from the past, but the quality of the rhyming and rapping deserves some special recognition. Update: Amy Kucharik pointed out that any history of the intersection of geek culture and hip hop is incomplete without a reference to nerdcore hip hop master MC Frontalot. And I have to agree. Take a look at this video for “It is Pitch Black,” an excellent homage to Zork, the text-based role playing game from the eighties that I have cherished memories of playing on an Apple IIc.